Five Nigerians, who allegedly stormed a money exchange in Sharjah and fled with Dh2.3 million, have been arrested, the police said on Sunday. 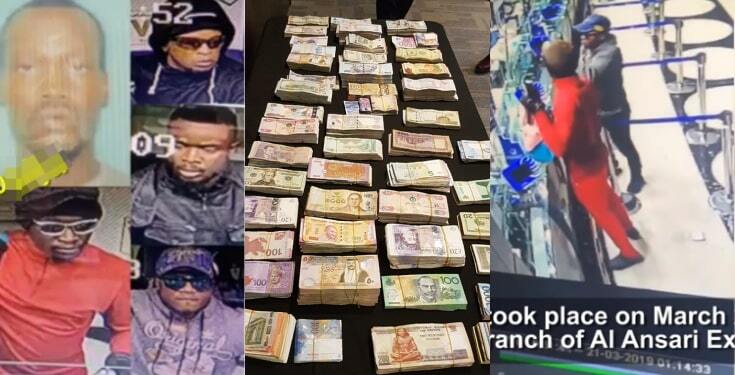 According to the police, the men barged into the exchange and smashed the glass barrier between the customers and the staff, stole the money in multiple currencies and fled. For two days, they studied the exchange office before deciding to commit the robbery around midnight - just before the shop was to close. On March 20, four suspects stormed into the exchange office, while one waited in a car outside. After the four suspects rushed out with the money, they fled in a car. Following this lead, they arrested one of the suspects in Sharjah. This suspect led the police to the others - two in Ajman, one in Abu Dhabi and one in Ras Al Khaimah.